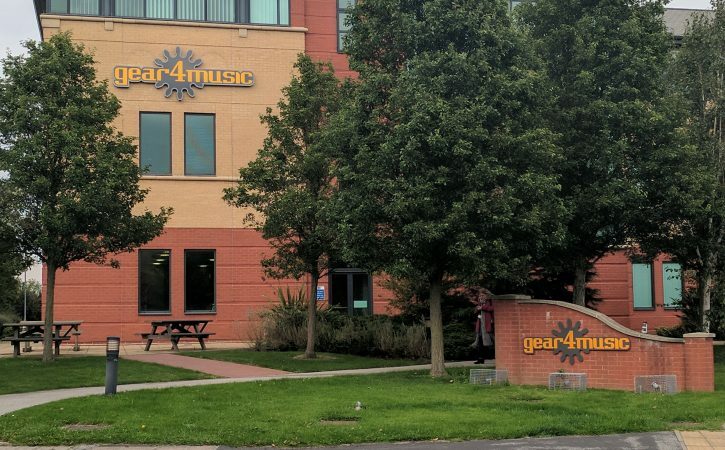 We did the original signage for Gear4music, they’ve since expanded and asked us to do the signage for their additional premises in York. 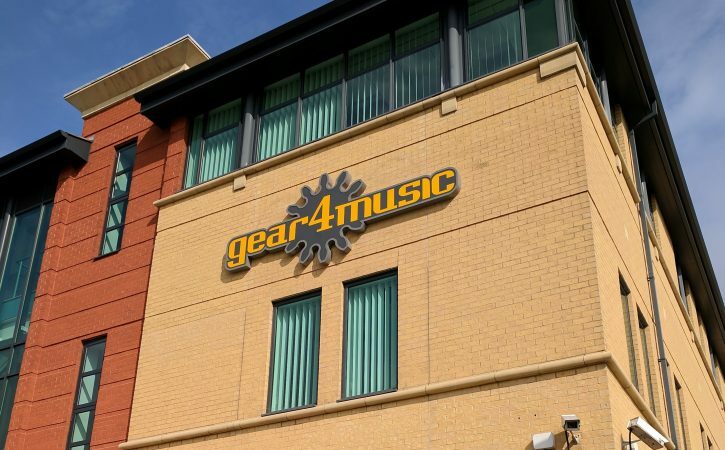 The logo signage on the building is made from fabricated brushed stainless steel with a return light box. 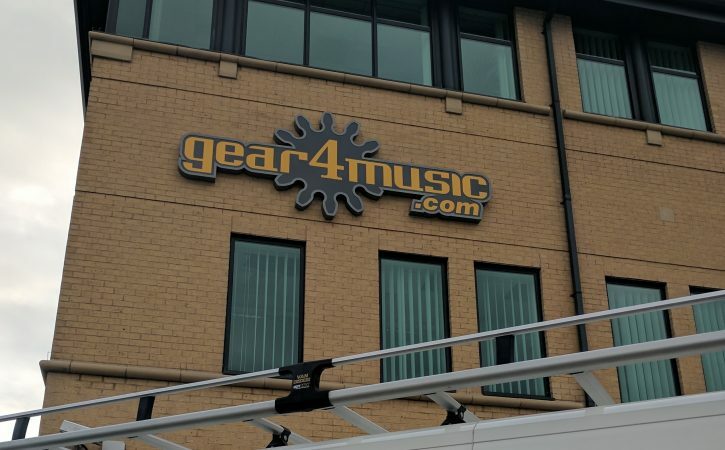 The acrylic digitally printed face graphic is illuminated with white LEDs and finished off with a fabricated aluminium back tray, which is coated white inside to aid illumination. 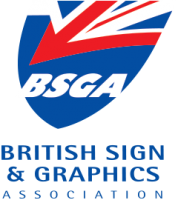 The two metre wide entrance wall sign is made from aluminium composite panels that are CNC cut to shape and have a seven year life span.